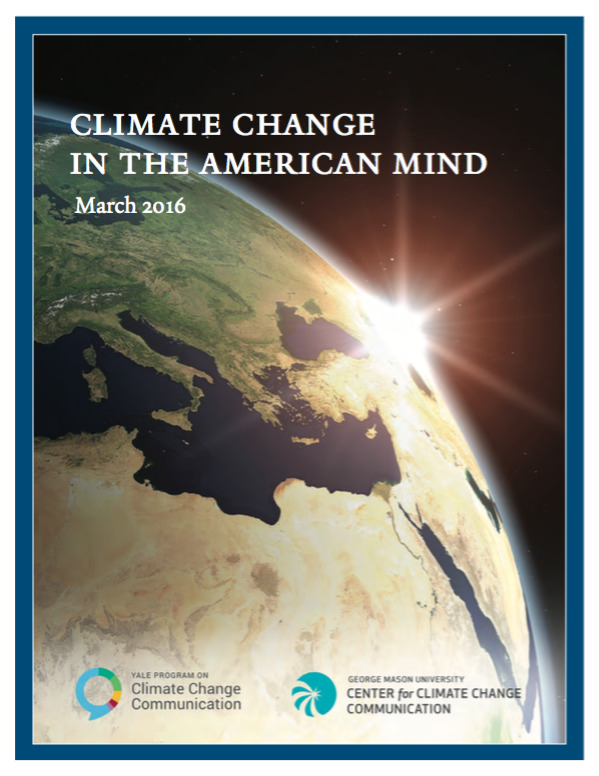 The latest survey in the Climate Change in the American Mind series tracking attitudes, beliefs, and views of Americans on global warming. The report explores common concerns related to global warming such as beliefs, emotions, risk, popular discourse, and perceived effectiveness of action. Americans are discussing global warming with family and friends regularly, while most say they rarely or never discuss it (69%). Six in ten Americans say the U.S. should reduce its own greenhouse gas emissions, regardless of what other countries do. Only 6% of Americans say the U.S. should not reduce its greenhouse gas emissions. 1 in 5 American say they hear about global warming in the media. When asked how strongly they feel about global warming, over half of Americans (67%) say they feel very or moderately “interested” in it, the other half says they feel “helpless” (49%), “disgusted” (48%) and/or “hopeful” (48%). Large minorities also feel very or moderately “afraid” (42%), “angry” (41%), and/or “outraged” (41%). 53% Americans think that humans mostly cause global warming. One in three (34%) believe it is due mostly to natural changes in the environment.